Call me corny, but I dig makin’ little lists of movies to watch when there’s a timely theme — like Valentine’s Day, fer instance. So here comes the 2019 edition of my Feb. 14 movie picks. Kumail Nanjiani and Emily V. Gordon have the ultimate “meet cute”: He’s a struggling stand-up comedian, she heckles him one fateful night. 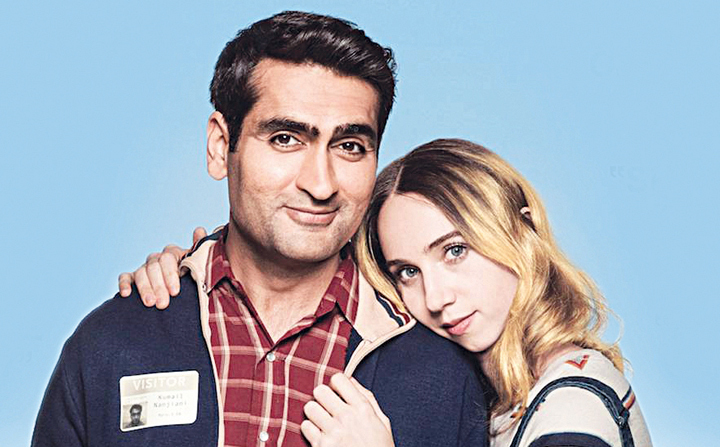 Kumail, a real-life Pakistan-born comedian playing himself, is smitten, while Emily (played by Zoe Kazan) is something of a commitment-phobe. Meanwhile, Kumail’s parents (Anupam Kher and Zenobia Shroff) work overtime to fix him up with his mother’s idea of the perfect Pakistani bride, to Kumail’s marked discomfort. When Emily learns that Kumail hasn’t mentioned her to his parents, she dumps him. Then fate strikes again: Emily is hospitalized and her parents (Ray Romano and Holly Hunter) keep vigil, joined by an awkward third party: Kumail. Based on the real lives of Nanjiani and Gordon, “The Big Sick” will make you laugh, cry and do both at the same time. It’s a study of culture clash — more like culture head-on collision — that wrings laughs even when going to dark places. It’s a road picture, and Penn is adept at capturing winding, desolate locations that, even when filmed in color, evoke the 1930s. 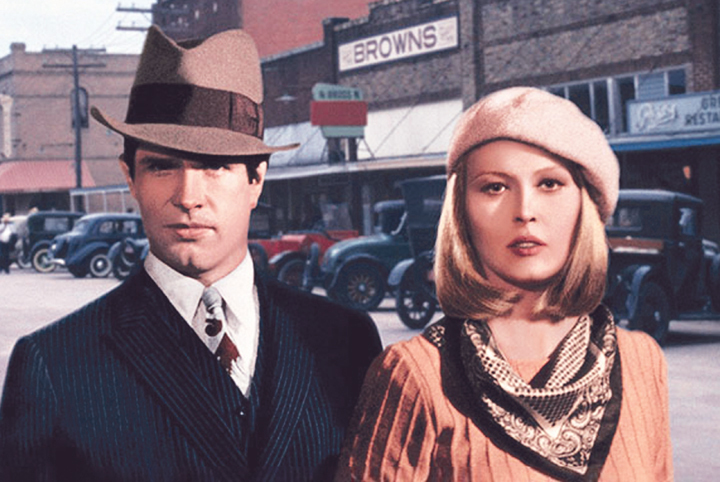 Bonnie and Clyde become folk heroes as they cut a swath through the Heartland, emptying banks and assembling a motley entourage: a dim-witted mechanic (Michael J. Pollard), Clyde’s loutish brother (Gene Hackman) and his panic-prone sister-in-law (Estelle Parsons). Drama comes in when Clyde — an exciting partner in crime — proves to be is a disappointment to Bonnie behind closed doors. But these two are meant for each other, even if both seem to recognize that this giddy romp won’t end well. 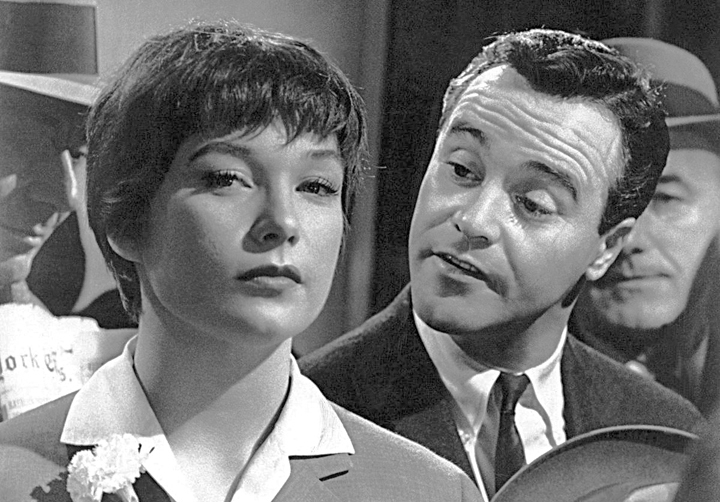 Billy Wilder’s romantic dramedy “The Apartment” depicts a MeToo nightmare world wherein managers prey on typists; an executive gropes an elevator operator in front of a dozen witnesses without reprisal; and the married CEO engages in revolving affairs with employees, firing anyone who dares to push back. And yet, there are innocent souls in this story about corporate bean-counter C.C. Baxter (Jack Lemmon), who lends his apartment to his superiors for their clandestine liaisons. Said superiors promise to “put in a good word” with big boss Mr. Sheldrake (Fred MacMurray). Meanwhile, Baxter falls hard for Miss Kubelik (Shirley MacLaine), an adorable but somehow sad elevator operator with a pixie-ish haircut who gestures precisely in crisp white gloves. When Baxter finally gets a face-to-face with Sheldrake, he turns out to be just another rat holding out his hand for Baxter’s apartment key. Fierce competitors by day, pillow-talking spouses by night — it sounds like Kellyanne and George Conway. That’s George Cukor’s “Adam’s Rib,” a presciently proto-feminist comedy starring Spencer Tracy and Katharine Hepburn as battling barristers who happen to be married. Tracy plays a prosecuting attorney assigned to a case that has captured the public’s imagination: When a distraught woman (Judy Holliday) catches her philandering husband (Tom Ewell) in the act, she exacts a measure of revenge that puts her behind bars. And if you can’t guess who signs on to represent her, you just don’t know Hollywood romantic comedies. 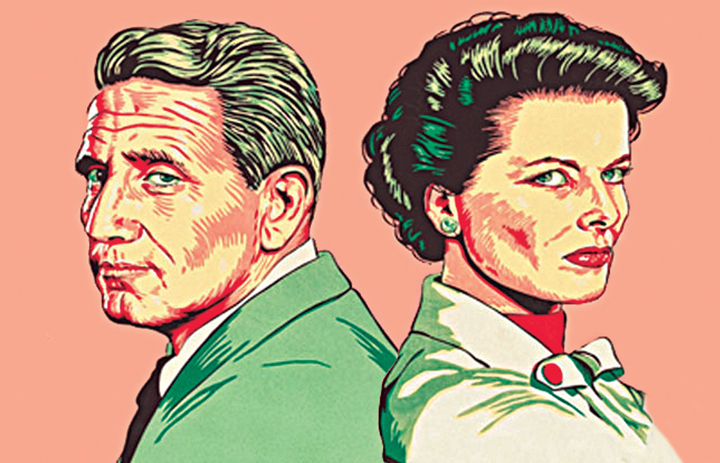 Though the case seems open-and-shut, Hepburn puts forth an unconventional but surprisingly effective argument and garners headlines, putting her own marriage to the test. “Adam’s Rib” is a harbinger of Women’s Liberation, which couldn’t have a more convincing spokesperson than Hepburn. Movie buffs love discussing mean movie moms played by Margaret Wycherly (“White Heat”), Angela Lansbury (“The Manchurian Candidate”) and a withered dummy (“Psycho”). 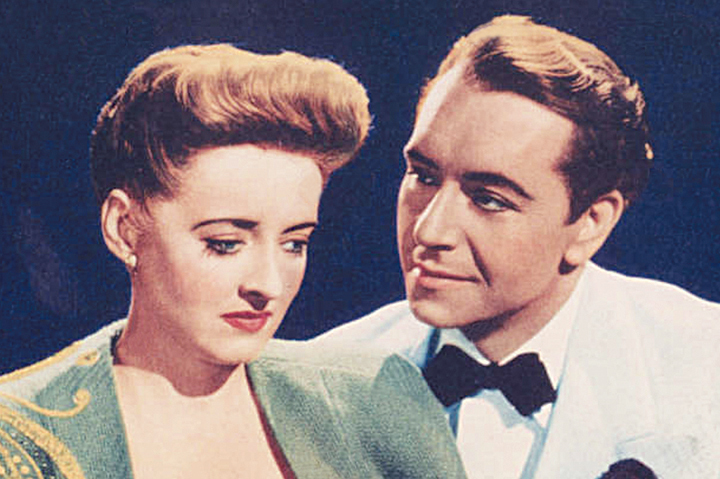 It’s high time that list included Gladys Cooper, who, in “Now, Voyager,” does a real number on her onscreen daughter Charlotte, played by Bette Davis in a defining performance. Charlotte couldn’t look more frumpy with her caterpillar eyebrows and cheerless attire. She might have remained a prisoner in her mother’s mansion, if not for a saintly psychiatrist (Claude Rains) who encourages her to invest in a stylish wardrobe and embark on a pleasure cruise. Charlotte meets an enchanting, albeit married, fellow traveler (Paul Henried). As the two grow closer, they both let down the curtain on their troubled lives. This is the one with the famous scenes in which Henried puts two cigarettes in his mouth, lights both, and hands one to Davis. Smooth. 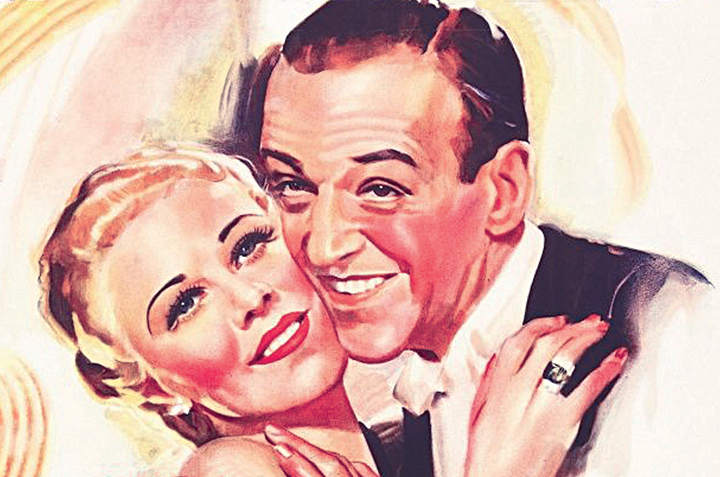 Those frothy Fred Astaire–Ginger Rogers musicals of the 1930s are often predicated on a misunderstanding that prevents the meant-to-be couple from being. In Mark Sandrich‘s “Shall We Dance,” Astaire plays Pete Peters of Philadelphia who masquerades as Petrov, a great “Russian” ballet dancer. Pete longs to tap dance to swing music, to the consternation of his promoter boss (Edward Everett Horton). Pete also wants to marry a fellow dancer he’s never met, Linda Keene (Rogers), based only on seeing her face in an advertisement. When Pete first foists himself on Linda, it is in the guise of the imperious Petrov. When the two meet again on a ridiculously art-deco cruise ship, she catches him in the act of being a mere American, and trust is broken. “Shall We Dance” has Astaire and Rogers dancing on roller skates in Central Park … well, a Hollywood set meant to look like Central Park.